Dr. Richard L. Cruess, will receive the 2012 Canadian Medical Association’s (CMA) Medal of Service tomorrow, Aug. 15. This medal is being presented in recognition of Dr. Cruess’s outstanding and exceptional contribution to the advancement of health care in Canada. An arts graduate of Princeton University and a medical graduate of Columbia University, Dr. Cruess did an internship and served as a junior assistant surgical resident at Montreal’s Royal Victoria Hospital before serving with the Medical Corps of the US Navy in New York. After his military service he finished his residency, did a fellowship in orthopedic surgery, and served as a research associate at Columbia University before being certified by the Royal College of Surgeons of Canada in orthopedic surgery in 1963. He joined the faculty of McGill in 1963, became professor of surgery in 1972 and was Dean of the Faculty of Medicine from 1981 to 1995. He then took on the role of associate director of McGill’s Centre for Medical Education. Dr. Cruess’s perspective on medical professionalism has been sought by universities, hospitals and professional organizations around the world. He and his wife have been invited to speak at many medical schools in Canada, and at numerous US and international medical schools and institutions. His research has been funded by the McConnell Family and Bronfman Foundations in Canada, the Royal College of Medical Education, the American Medical Association, and the American Board of Internal Medicine Foundation. 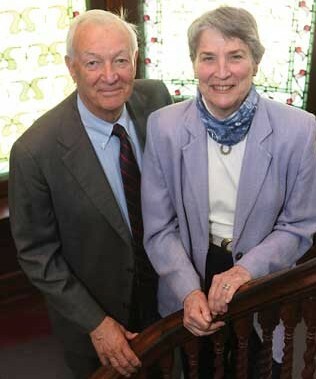 In 2010, in recognition of their achievements, McGill established the Richard and Sylvia Cruess Chair in Medical Education. Dr. Richard Cruess is a core member of the core faculty of the McGill Centre for Medical Education. The Canadian Medical Association Medal of Service is awarded to individuals who have made an extraordinary contribution to the advancement of health care in Canada. This may be a service to their profession in the field of medical organization, to the people of this country by helping to raise the standards of medical practice in Canada, or a personal contribution to the advancement of the art and science of medicine. Dr. Cruess is the 42nd recipient of the CMA Medal of Service. The medal will be presented at a ceremony to take place at the Shorty Brown Multiplex Arena, Yellowknife, N.W.T., during the CMA’s 145th annual meeting.